Dr Kerry Spackman is a cognitive neuroscientist. He coaches athletes, business people, and other personalities to succeed within their chosen fields. He has been a consultant to four Formula One teams as well as the New Zealand All Blacks specialising in performance optimisation. 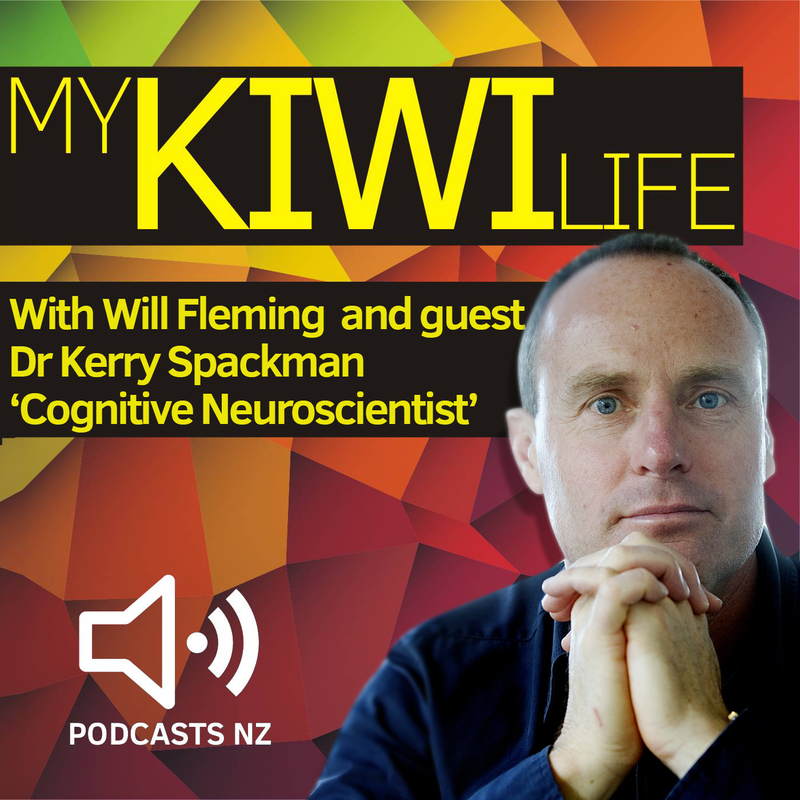 Join in as Will Fleming and Dr Kerry Spackman sit down in the Podcasts NZ studio to ponder life. We try to work out what the heck is going on in our heads. Kerry explains why having tools are better than rules, offers some tips on figuring out our life vocation and purpose and how Einstein had it all figured out. This weeks song is another original called, Anytime. The premise behind this track was around the idea of keeping things simple in the big moments. Sometimes its as simple as offering your loved ones a ‘get out of jail free card’ – Anytime.